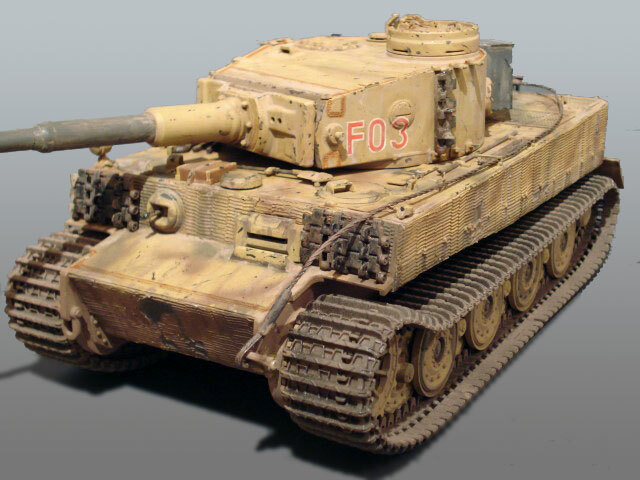 Here is my 1/35 scale Cyberhobby Fehrmann Tiger I. The kit has been built straight from the box with the addition of Cavalier Zimmerit added to the hull only, and Archer Transfers for turret numbering. The kit has received several coats of MIG Filters and Pigments. My thanks to Andrew Judson for his assistance. It is much appreciated.